Over the years of writing and self-publishing, I have developed a special relationship with a few writing tools. While some of these have free variants, I have opted to purchase them and use each of these regularly in my writing and publishing regime. While I know everyone will have their opinions on these products and just about every writer I know are usually set in their ways of doing things, I will still discuss my favorite tools in this article. I would be happy to hear your thoughts or suggestions on other tools. It has a love/hate relationship with many independent writers, as well as professional writers that I know personally. Myself, I tend to fall into the “love” category. It’s one of those writing tools that does just about everything an indie or professional writer wants in an all-in-one writing environment. However, there is a little bit of a learning curve involved to become a power user of Scrivener. With that said, however, you do not have to be a power user to find it helps you with the organization of your writing projects. With a $45 USD price tag, at the time of this writing, it’s still a deal for anyone wanting to find that all-in-one writing, organization environment. There are several ways an author can find immediate assistance when writing or line editing their work. 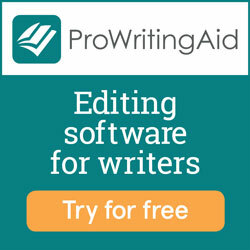 When the time comes to do a deep analysis of your writing, Pro Writing Aid fills that need. While it will never replace a real editor for the final reviews of your manuscript — it will give you some insight that can make you a stronger writer. Being more than just a grammar checker, this tool is another great deal at $40 USD per year. It’s updated frequently, has the ability to scan Scrivener documents, a plugin to Google Docs as well as many other file formats. It also includes a fully online version at no additional charge. Check out the FREE version to get a feel for what it could do for you and your writing. This lightweight grammar checker plugs right into your browser. In addition to this, it also has an online editor that will allow you to copy and paste your documents and check your writing styles against several filters for content (Business Writing, Fiction, etc.). It’s a little more expensive than Pro Writing Aid but the convenience of being a browser plugin for Chrome, Safari, and Firefox makes it available for many online editors (including your e-mail and blog editors) when using your browser. As of this writing, a monthly subscription is about $30 USD a month, with some discount given to Quarterly or Annual subscriptions. As an open-source e-book reader, Calibre offers a lot of additional functionality that a self-publisher will find useful. The normal use case is building a collection of ebooks from various formats (ePub, Mobi, and others) and have the ability to convert them and even remove DRM (Digital Rights Management) through plugins. In addition to this, Calibre can create a rich and well-organized catalog of digital books where the user has the option to index, sort and utilize various forms or organization to manage their collection. In many cases, authors that don’t wish to have the hassle of converting their own manuscripts to eBook formats like MOBI (Kindle) can use Calibre to do this and then share that file as they see fit. Creating an eBook can be a chore, especially for those that do not have experience with formatting digital files. In addition, some writers just don’t want to deal with it and will hire someone else to format their manuscript for digital distribution. While some online eBook distributors and aggregators offer services to do this at no cost, the author is still left with the formatting in the hands of others or some automated process that may not do a very good job. In addition to all of this, usually, the final result is pretty plain and not always formatted in a way to looks good on every device capable of displaying an eBook. That’s why I really like Vellum. I am able to import directly from Microsoft Word into the software and use several preset templates to do a book layout that will look perfect whether it’s a Kindle reader or some other ePub reader. A recent addition to the feature is the ability to create a print layout, in addition to ebook so the software continues to show a lot of potential value. It has a FREE download and you can pay for a full license, or just pay per title your create. Download it and give it a try. So, that’s my Top 5 Tools list. Each of these listed tools is used (in addition to many more not on this list) to create the books here at Blue Jinni Media. I hope you find this information useful.